In August 2016, IDX successfully completed the commissioning of its latest StarNET HDLC gateway development implementation which saw the addition of StarNET HDLC Master functionality being added to the gateway. The application involved the legacy migration of a GEM 80 PLC controlling three GEM Micro drives operating in a redundant setup for operating the brakes of a mine winder operating on the deepest single drop shaft in the world, near Klerksdorp in South Africa. As only the PLC was being replaced with a modern software-based PLC, a solution to interface with the existing GEM Micro drives was required. 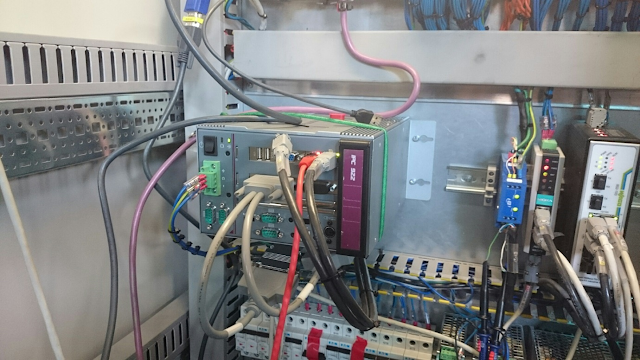 Due to the safety critical nature of the system, the solution needed to be reliable and offer quick data turnaround to prevent safe lock-outs of the brake controller, and thus shutting down the winder and of course the shaft. IDX provided a MODBUS UDP Slave to StarNET HDLC Master interface in the form of an IDX StarNET gateway allowing the new Beckhoff PLC to read and write to the GEM micro drives via MODBUS UDP. We are pleased to report the gateway has worked flawlessly since commissioning despite this being a rather challenging project. This was primarily due to the unexpected GEM micro HDLC communication handling and multi-drop behaviour – let’s just say it is somewhat ‘special’ and a little mysterious but not enough to stop us from making it work!